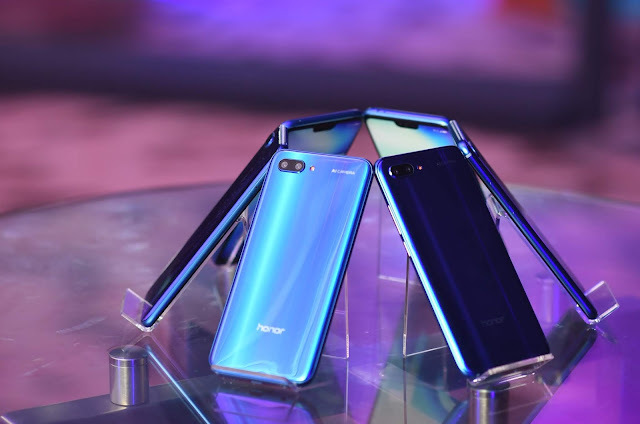 honor Malaysia today unveiled the latest addition to its ever-evolving flagship devices, the honor 10, a handset delivering Semantic Image Segmentation technology, an industry first. With no two handsets that are manufactured alike, the brand’s first notched display phone in an unrivalled exquisite aurora glass meets metal design, not only comes in a stunning combination of colours, but delivers high-end performance at an extremely competitive price point of RM1,699. Taking a leaf out of the Murano glassmakers’ book, the designers of honor 10 combined their love for aesthetics with a passion for engineering, where the glass curves on all sides blend seamlessly with the metal frame surrounding the device’s edges. The stunning aurora glass design was inspired by the contemporary use of aerial net sculptures, made of layers upon layers to create 180° infinite tangent plane in which every single degree is coloured, for the ever-changing effect of the aurora sheen.